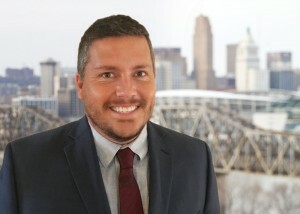 Mr. McGovern joins Commonwealth as a Supply Chain Analyst and Design Consultant and will play a role across several of Commonwealth’s practices: DC Design, Operations Improvement, 3PL and Warehousing Software. In his role, he will help Commonwealth clients design their distribution centers to support growth, achieve higher degrees of efficiency, and enable new capabilities required for competitive advantage in today’s consumer environment. He will bridge operational improvements, software and DC design practices in environments where same day shipping has become the new norm. Mr. McGovern brings to Commonwealth over 15 years of experience performing advanced data analytics to provide strategic insights on facility requirements and ways to gain efficiencies. He’s taken part in the design of numerous distribution centers for top brands, many of which have been automated multi-channel operations with an emphasis on e-commerce capabilities. In addition to distribution center design, Mr. McGovern’s experience includes the optimization of multiple warehouse management systems (WMS) and implementation of other technologies used to support the operation. Prior to joining Commonwealth, Mr. McGovern held engineering and operations management roles for UPS Supply Chain Solutions and Radial (formerly GSI Commerce and eBay Enterprise). Commonwealth Supply Chain Advisors is a leading supply chain consulting firm that helps companies of all sizes optimize their supply chain networks, design distribution centers, and select and implement Warehouse Management Software (WMS). Commonwealth has offices in Boston and Cincinnati and has completed in excess of 200 projects for more than 100 clients across the globe. Every year since 2013, Commonwealth has been named a “Top 100” supply chain partner by Supply Chain Brain publication. Commonwealth’s insights are widely respected and regularly published in journals such as Supply Chain Management Review, Supply Chain Quarterly, and The Wall Street Journal. For more information, visit www.commonwealth-sca.com.